Koji is an enthusiastic and knowledgeable guide...we were with him for 2 days. .and although we had some rain on the second day....we were able to keep a busy itinerary and see A LOT...Use Koji if available. .book him! Koji is great. Be prepared to walk A LOT but you will see so much of Kyoto that you would have missed without him. 1000 Buddhas, 10,000 Shrines, Monkey Mountain, Bamboo Forest, Golden Temple, etc. He even found us a Hedgehog Cafe. Loved it. There are no words to describe our day with Koji in Kyoto. He was beyond excellent! He has a very thorough knowledge of the city, and he also accommodated the day to my families likings. He showed us the city with lots of excitement and we absolutely loved our day sightseeing with him. Thank you so much! Koji was very pleasant with a smile on his face all day long. He was very well known for both Kyoto and Nara and Osaka. We spent two days with Koji. He is also very fit so if you're an active group he will hike with you all day long and won't get tired (he is a major athlete!). Highly recommend. Awesome Day!! Koji was amazing, great person and a great tour guide! He made our day very efficient and took us to all the places we wanted to go! Highly recommended!! Koji is an exceptional guide! A fantastic day was spend with Koji. We must have walked over 10kms but would do it again with Koji. He was so professional, friendly and very personable. With a few questions from Koji he tailored a tour to suit our needs. The trek up to the shrine of Fushimi Inari Taisha was impressive and at a pace that suited us. Thank you Koji for spending the time with us and making it memorable. Definitely recommend Koji to anybody- he was so full of local information and even showed us how to order Ramen noodles. Koji was fantastic! He took the time to ask what our family was interested in and modified the tour based on what he learned. He was very enthusiastic and knowledgeable about Kyoto, and he was highly organized. Koji was sensitive to how each member of the family was enjoying the day and took interest in each individual. I would highly recommend him to others. He is a true professional and a wonderful person. I hope that my family and I can go back and spend a day with him again. We had a wonderful time with Koji. I have an 11yr old son that absolutely adored Koji and had a great day. Koji made the day so much fun for him and very educational for us. I would highly recommend Koji. Kyoto is so full of things to see, so it was wonderful to have Koji plan the day and get us to the right areas to see the top spots. His energy and excitement about the history of Kyoto kept us going all day and we had a great time! My Local tour Guide Koji arrived early before time to my Hotel Lobby where I was waiting eagerly to start my Tour. He was very polite and pleasant and had researched my country as well. He is highly knowledgeable about Japan's History and culture and knows his way around very well. We visited: 1- Shintennoji Temple (The Flea market was set as it was the 21st of the month). 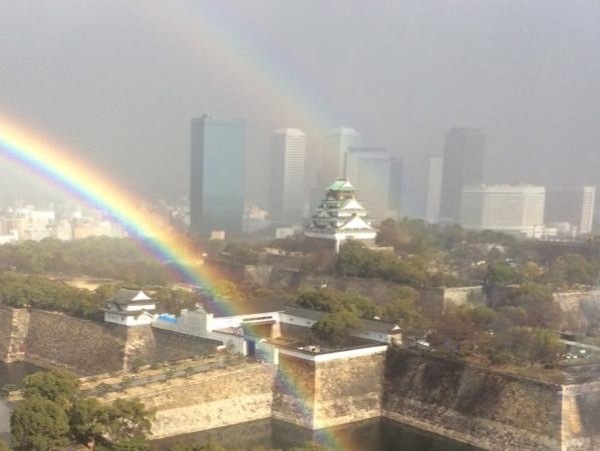 2- Osaka Castle with its rich history. 3- Shinsekai nostalgic street, Koromon food market, Doutonbori Street, Hozenji street. We are a party of five and had a great time getting to know Kyoto having Koji as our guide. Koji has been always very helpful and flexible with the schedule and showed good knowledge about the city and the Japanese culture and history. Koji was our guide for 2 days , one day Osaka and one day Kyoto. He was knowledgeable, efficient, charming , always smiling , fun to be with and professional in every possible way . I enthusiastically recommend Koji for anywhere in Japan that he guides . we have very much enjoyed our tour with Koji. He is knowable and fun to be with. Interesting stories. We can recommend him and his english is good. Koji really worked hard to make sure I had a great experience. He was punctual, friendly, very knowledgeable, and put 110% effort into everything. Koji-san was one of the "bestest" tour guides my family has had - and we're world travelers! Our full day tour of Kyoto was exciting, interesting, and very well planned for efficiency, variety and cultural/historic aspects. Koji-san was fun and very knowledgeable and extremely accommodating to meet the requests and interests of each of us (5 in the family!). If I could give more stars I surely would! Koji gave me one of the most interesting days I had as a city critic for the last 5 years . He was patient, attentive to needs and full of important and professional knowledge. Thanks to him, I got a lot more out of Kyoto than I expected, and Following the things I learned from him, I extended my stay in the city. He is exactly the guide to take with you to anywhere you want to know in a real way, and not in a tourist way. I wish there was more space here to add all the compliments he is well deserved. Koji was a terrific tourguide. He was first off incredibly friendly and personable. Koji also provided insightful and meaningful insights not just into the sites we visted but all things Japan. He was also flexible with the structure of out tour - I had noticed a monkey preserve en route to our destination and Koji was happy to provide me with meaningful time to visit which was an incredible experience. In short - if you are heading to Kyoto - book with Koji!! Time and money well spent. We took a Kyoto tour with Koji and we really enjoyed it. Even though the temperature was 95F we didn't feel very tired because of the positive attitude of our tour guide. He showed us historical and natural sites. Koji also recommended us a very good restaurant. Thank you Koji! Koji is a truly fantastic guide and a wonderful person. He is super knowledgeable and efficient in showing people around. We were lucky to have Koji Show is around Osaka. He was prompt, eager to help and was very enthusiastic about showing us his wonderful country. Osaka was the last city on our tour of japan and Koji reaffirmed th cordiality and efficiency of the Japanese people. We met wonderful people like Koji and carry all these memories with us back home. Koji is the person to have As the guide!!! Our second tour with Koji in Kyoto was very nice and less physically consuming than the first as we visited temples, zen gardens and the philosopher's path under a milder heat wave and less slopes ! And Koji was as energetic, dedicated, well organized and full of information about the sites as the first day, so it was a great occasion of discovery of a unique city . Koji is energetic, exciting, and extremely knowledgeable. His passion for the area is contagious. We had an exceptional 2 day tour experience with him. We did pivot from the original plans, adding an impromptu visit to Uji, which was unforgettable, and helping us cope with some extremely tough heat. Highly recommended!! Koji is a very good, nice, helpful and energetic guide who designed a great tour, took us to very nice places and gave us good advice. We will go with him again with great pleasure to explore more places in KYOTO ! Koji's English was excellent. Also he chose to include a visit to Sanjusangendo which is not mentioned in the guide book and so I was sceptical. However, it was spectacular, seeing the 1001 life size Deities lined up in the temple. He is a very pleasant and very knowledgeable guide. Many thanks. We enjoyed every minute of the day we spent with Koji.He has knowledge and he was kind to share it with us. What an amazing day!!! Koji is a great guide and very helpful. He took us to Osaka and explained to us the history of the city. He also took us around and made us feel like locals. We then went to Nara and again his knowledge and explanation was impressive. We really enjoyed our day and would recommend him as a guide 100%!!!!! Great! Koji was delightful, well-informed, and organized yet flexible. He offered exactly the level of time and energy we were looking for. Very strongly recommended! Koji did a very good job as our guide. He was prompt and confirmed the tour ahead of time. He has solid command of English and was very accommodating. The tour was pretty active, but he kept us moving and interested. He was very thoughtful in his approach and even offered to stop at some unusual specialty shops along the way and recommended dinner locations for after the tour. My family and I spent a wonderful day in Nara with Koji! He organized a tour through Nara's top World Heritage attractions where we saw (and touched!) many many deers. Koji told us about both ancient history of Nara and contemporary Japanese urban lifestyle. He was very kind to us and most of all to our children. A perfect guide for an unforgettable day! My family enjoyed the tour. They did note there was a lot of walking for reference. Koji is the best! Patient, flexible and passionate! Thank you for making our trip so memorable! I had a terrific time with Koji today. I would definitely recommend him for a tour. I expect to be using him again on my next visit to Japan. He is very knowledgeable, very pleasant and very flexible. Thank you Koji for a great day in Kyoto! Koji is a very genuine person, he loves this job and it shows during the tour. He was enthusiastic to show us and explain to us the history. On that day during the tour, the heavy rain made us all wet, he let us go back to the hotel to change, and stayed longer than scheduled time in order to show us the interesting sights. We really appreciate. I would recommend him to my friends when they visit Japan. TOUR GUIDE RESPONSE: Hi Mei, thank you for the nice review. Happy to hear you enjoyed the tour with me! Simply put Koji is a fantastic guide.He is extremely knowledgeable and enthusiastic. He made certain that we got to see as much as we could possibly see.Adults,families,groups It really doesn't matter.You can't do better than Koji.Koji is kind helpful and has a great sense of humor. I wish I could have given 10 stars!!! Koji is a great person, totally engaged with his work, knowledgeable and funny. We had a fantastic tour with Koji and meeting him was a highlight of our trip to Kyoto. Thank you Koji for the wonderful time and the great memories!! We recommend Koji without any doubt whatsoever. Koji was a great guide, very knowledgeable and enthusiastic and a really nice guy. Doesn't stop smiling. Took me and my wife all over the city and made sure we saw as much as possible, but at the pace we wanted. Koji even went over time into the evening just to add some extras. Great choices of varied sites as well. Best temples, bamboo forest, Geisha district, market. Wonderful tour and guide. We highly recommend him. Cannot recommend Koji enough. We crammed so much into one day and enjoyed every minute. Koji has a great sense of humor. He was both informative and willing to engage in thoughtful conversation about culture, etc. We consider him a friend now and he was worth every penny. We spent 3 days with Koji and had a great time! He has a tremendous amount of knowledge and had lots of patience for all our questions. It was very important to him that we see as much as possible while still making sure that we were able to experience each sight to its fullest. Koji was very flexible and adapted our itinerary to our needs. We highly recommend him. What an awesome tour! My wife and I were in Kyoto for our honeymoon, and our schedule was put together last minute. Koji was able to adjust the tour to accommodate some conflicts. He was also able to be flexible and add another stop to the tour per our request. We visited a whole bunch of spots in East Kyoto and he walked us through cultural, architectural, and historical explanations of what we were seeing. Would definitely do another tour with Koji...just like hanging out with a friend! TOUR GUIDE RESPONSE: Hi JB! Yes, hopefully see you again in Kyoto! Koji is a wonderful guide. He was patient, kind, knowledgeable, and willing to change the itinerary and customize it for our group, even last minute changes. Koji made everything so smooth and was willing to accommodate all our requests. We had a wonderful time during our tour. Koji took us to routes that we otherwise would not have known to go to and temples and shrines that are little known. The recommendation for lunch and dinner were both fantastic. We will definitely use him again! Koji was the absolute best! We booked a full day tour and he was able to reserve us a private car with a safe and extremely nice driver for the day. He had a great itinerary scheduled for us but was very flexible if we didn't want to do something or if we wanted to go somewhere, stay in a shop longer, etc. We had missed the main cherry blossoms by a week but he knew of one temple where they were in full bloom and it was exquisite. We never would have known to go there if we had not hired Koji. Another fantastic experience with Koji san. He guided us through Nara and waited us patiently at every stop. He was able to answer all our questions, always with a smile. Thabk you Koji and see you again next time in Kansai area. Davide, Kary, Tiziana ans Elisabetta. Koji is a wonderful turist guide. Always available for explanation with a smile, very knowledgeable about Kyoto and Japanese culture in general; he can speak English and Italian. He made us exhausted after one day walking but it was worth to do it. Koji is highly reccomended to any visitor coming to Kyoto. My parents had an amazing time. Thank you Koji for taking great care of them and making their trip memorable. Koji-san was a fantastic guide! Him and I spent the entire day together seeing as much of Kyoto as we possibly could. He was able to modify the program on the fly to allow me to see more of Kyoto as our schedule and path saw fit. Koji's knowledge of Kyoto is unmatched. He knows of every secret street and viewpoint. I wish I could retain as much information as he shared with me. I whole-heartedly recommend any tour with Koji as he truly loves his work. I now consider Koji a friend. Thank you! Thank you Koji for an amazing day in Osaka! We really enjoyed ourselves and found your knowledge about Japanese history very informative and interesting. You were great company and this experience was a highlight of our holiday. Thanks again! We had a fantastic day out with Koji. He understood what we were interested in and took us to places we loved. He Recommended a great lunch spot, and assisted us with getting a table and how to get our meal. This was our second visit to Osaka and Koji has showed us so much more than we could have done ourselves. We loved how happy Koji was, keeping a big smile on all day! Koji is an enthusiastic tour guide. It was a whole day tour but he was very accommodating with our requests since we had a baby with us. He provided necessary facts and history about Kyoto. The tour was informative, places were arranged accordingly for easier transport and of course, it was enjoyable since Kyoto is indeed a must visit. And it is best to choose Koji as your tour guide. Koji is warm, friendly and very personable. He catered for all we wanted to see and nothing was a problem. He knew so many local places and also a lot of history about Japan. You can definitely tell he loves his job and loves meeting new people and showing the sights and culture. He is so much fun and energetic, we thoroughly loved spending the day with him. Koji is a fun and knowledgeable guide. He was very accommodating and patient with us seniors. We never did feel rushed when we stopped at the little shops or for a cup of coffee. He made sure we all had a great time and returned us back safely to our hotel. We had an amazing day in Kyoto with Koji. He was so knowledgeable and answered all of our questions so willingly. Koji did a great job keeping our teenagers happy and engaged throughout the tour - we would never have seen so much of the city on our own. He managed all of our various transport arrangements leaving us to relax and enjoy it all. At the end of our day, he helped us select an excellent restaurant for dinner and even seen us to our table. We only wish we could take him with us to Tokyo! Koji was early and we were late. But he was very understanding. He said, " I am your guide and I am here to serve you. Wow! And so we had a great time with Koji. We were five adults and he tried his best to satisfy everyone's desires. We went around the Osaka Castle exited through the back to have lunch at this good ramen place. He took us shopping at Donkihote. He brought us to Shinsekai and Kurumon Market, places we really wanted to visit. He is someone you'd want to be with to bring you around. Great! Koji was approachable, timely, and knowledgeable. He helped tailor our tour to our interests. Would definitely recommend him to other travelers. Koji was an amazing guide. We really could not have asked for a better experience. He met us at our hotel and we were off on foot to visit the markets and sites. Along the way he stopped at points of interest and added lots of information about Japanese customs and history. He made it clear that we were free to ask him anything we were curious about. The day was jam packed and we saw so much of Kyoto always feeling that Koji had a plan in mind and wanted to make our experience memorable. We loved it! We had an excellent guide in Mr. Koji. We had a really wonderful day touring with him. Aside from sharing interesting information about Osaka's and Kyoto's histories, he also showed us places in Osaka and Kyoto we would have missed had we been on our own. We appreciated his kindness and his flexibility in our tour itinerary, his patience in teaching us how & where to take our train rides and his willingness to take our pictures in the places we visited. Thank you, Koji. My mother and her friends really enjoyed their time with Koji. Very informative and helpful guide. Koji was an excellent tour guide. He explained what we saw and the background or legend behind it. He worked with our schedule and gave us choices to see so that we toured places of interest to us. We highly recommend him. We had a great time touring Kyoto with Koji. Although he had specific places to show us, he allowed us to make adjustments based on our preferences. Koji was extremely knowledgeable, friendly, and energetic but best of all he loves his job and his city. If you are considering a walking tour of Kyoto (including use of public transportation), I would highly recommend using Koji as your guide. He is the best! Overview: 5/5 stars. Two thumbs up. Don't look any further for the best tour guide in Kyoto! Koji is an energetic, kind and knowledgeable guide, who showed me (solo female traveler) >10 places in one day. He knows all about the historical sites, and points out cool back alley features. Without him, I would not have the depth of knowledge regarding the city, and the context to see the sights in Kyoto as most places don't have English translation. I would recommend him to anyone without reservation. Koji is a very knowledgeable guide. He was very sensitive to our needs and he fully respected our wishes / plans of the day. He made the day trip very enjoyable for us and for our 8 year old daughter . He is taking pride in showing Kyoto to tourists and he will take you to all the important sites. There are things we would have missed if we were by ourselves . He pointed out details we would not know otherwise. Strongly recommended for your vacation. Koji is wonderful! He is all one could hope for in a tour guide - knowledgeable, kind, and accommodating. He met us at our car on the train and (after determining our priorities) took us to see (in 1 day) several beautiful Shrines and Temples (including the Golden Pavilion), the ethereal bamboo forest, the exquisite Okochi Sanso home and garden of the Japanese actor Denjiro Okochi, lunch at an automated sushi restaurant (delicious and fun) and shopping at the covered market! Fabulous! Koji is a local treasure. We emailed back and forth as I planned the trip. He was very prompt with his responses and had great suggestions for our tour and even self-guided tours for the rest of our stay. He met us at our hotel on time and the whole day was full of fun and excitement. We covered so much ground by foot and via public transportation. At the end of the day Koji kept adding more things to show us and we even went overtime :) You will be in hands of a perfectionist. Koji was excellent- knowledgeable, friendly, funny and flexible! We couldn't have enjoyed the tour more. The descriptions and history of the sites were fascinating and informative. Koji is high energy - we covered a lot of ground in the eight hours. We would and will highly recommend him to others looking for a guide in Kyoto. Thanks, Koji, for wonderful day! We spent a total of 3 days with Koji enjoying Kyoto, Osaka, Hiroshima, and Miyajima. He was simply fantastic. He responded well to our individual needs throughout the day and put together a great itinerary for us in Japan. I highly recommend Koji for your visit! We spent 3 days with Koji, each day becoming better and better. His knowledge of the sights to see and how to efficiently guide through them to avoid crowds, achieve the most efficient viewing, and history are first class. I highly recommend Koji! Koji was quite simply fantastic! We had a long day on a Japanese holiday. He went the extra mile to purchase our tickets on the trains well in advance. He is knowledgeable and punctual. He was able to modify the itinerary as it was raining quite heavily to allow us to do indoor activities (Hiroshima museum) before outdoor activities such as Miyajima. This is the first of 3 days with Koji and we are so happy we found him! Koji was exceptional. The pace was exactly what we were looking for and the afternoon was peppered with interesting Japanese culture and comments - even explaining some of the subway advertisements. Highly highly recommended. Thanks koji! This tour to Nara was really wonderful! Koji is the best guide I could have: he was so friendly, flexible with the places I wanted to visit and also he explained lots of interesting things. I highly recommend to book a tour with him! Thank you so much Koji for that perfect day! Koji is a Rock Star guide! Fantastic day for father and daughter to tour Kyoto -- we hit great sites all day and Koji gave us a great background and context for all the sites. We felt very comfortable with Koji -- I would recommend him to anyone, especially if you want to have a little adventure and keep a high tempo for the day. You will not be sorry! I hear he has a great bike tour also -- I imagine that would be wonderful too. Koji provide our family with an AMAZING guided tour experience. The day was packed with interesting sites, great commentary and good food! We walked and took the train everywhere, and had a chance to dive into the culture, history and sights with information, enthusiasm and energy. All the sites we visited were outstanding- we couldn't think of one we'd leave off the list! Koji is attentive and knowledgeable. I recommend his tour with great enthusiasm!! !